As the youth of today are all opening their GCSE results, it suddenly dawned on me that it has been SIXTEEN YEARS since I got mine. That's half my lifetime ago! 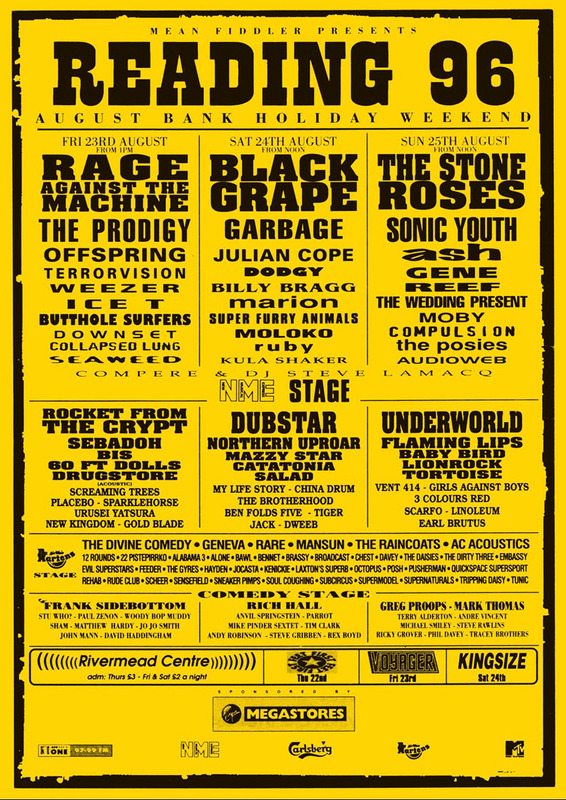 Yes, on this very day in 1996, I went to school, discovered that I'd (somehow) managed to pass all ten of my exams (after spending all of my study leave sunbathing at Hampton Open Air Pool and not revising) and then set off for Reading Festival with all my mates to celebrate. 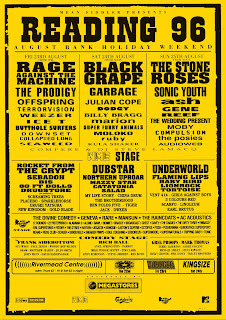 Ahhhhh, Reading '96. When weekend tickets cost an affordable £60 and a really rubbish, homemade, fake ID could get you beer. The year famous for The Stone Roses' APPALLING performance; their first gig without John Squire, when Ian Brown forgot all the words to all their songs and didn't manage to sing a single note in tune. A year when I genuinely wanted to see EVERY SINGLE BAND PLAYING and spent much of the weekend dashing between stages to catch glimpses of everyone. We were that perfect age; not children anymore but not yet adults either. No responsibilities. Testing boundaries. 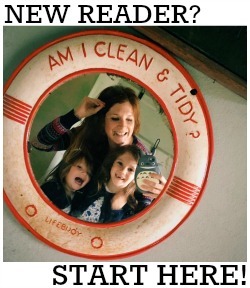 Discovering who we really were. Thinking back to this very weekend all those years ago has brought a massive smile to my face.